With the growing popularity of fitness watches it’s easy to become overwhelmed when it’s time to select yours. Many highly reputable manufacturers are turning on trend and providing consumers with their own rendition of the technology. Two of these are Garmin and Apple. Are they the ones you should be considering? Both vastly different brands, Garmin and Apple’s sports watches are of the same nature. Both have their own unique abilities and features worthy of a closer look. We did some research to help you make your selection. The Fenix 5 Plus is a sports intended watch by Garmin. It was made solely for the purpose of fitness usage and offers a wide array of features relevant to this niche. It goes without saying that any device from Garmin would be the leader in GPS technology. This is due to the brand having dominated the industry for a lot longer than their newfound competitors. The maps on the Fenix 5 are undeniably superior when compared to similar watches on the market. Because the watch was designed for athletes, it's largely based on data accumulation. This makes it perfect for the athlete who is obsessed with acquisition and analysis of their personal data patterns. Many GPS watches have the tendency to measure battery life in hours as opposed to days. 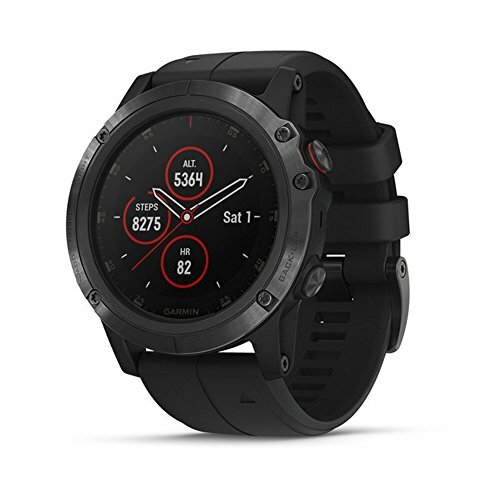 The Fenix 5 Plus by Garmin measures its longevity in days and can last up to 10 at full charge. This reading does, however, shift to hours when the watch is in full GPS mode as this function requires a lot of battery power. Eight hours is the expected performance time in this mode. The most notable features on the Garmin are its high tech sensors. The device has the ability to monitor everything from heart rate to blood oxygen levels. When hiking at high altitudes information like this can mean the difference between life and death. The bands on the Fenix 5 are knowns as “QuickFit Bands” that allow for incredibly fast changing between them. They’re also widely customizable and come in an array of designs for you to match to your day’s outfit or personal style. Impressively, users of the Fenix 5 are able to connect their bank cards to Garmin’s quick pay program. Anywhere where pay-and-go sensors are available, you’ll be able to tap & pay directly with your Garmin watch. Modern tech should improve convenient living and this watch gets it right. In competition with Apple, the Garmin Fenix now has the ability to connect to its own app store. Alerts will be displayed directly on the screen. The Garmin Fenix is water resistant but not fully waterproof. Another leader in modern technology, Apple has joined the GPS watch market with a bang. Like every other Apple product, the Apple Watch is great for people who already make use of other Apple devices in everyday life. The software behind Apple is so interconnected that all of their products work together in a harmonious network. Unlike the Garmin watches, the Apple watch was not designed solely with sportsmen in mind. It is, in fact, a more multi-functional device designed to do a lot more than just sports and field coverage. The watch is equipped with the ability to text, email and make use of App Store apps. It has some fitness functions built in but not nearly as many as other watches designed solely for this purpose. The Apple Watch is more of a phone accessory - It’s like having your iPhone on your wrist. One of the newest features of the Apple Series 4 watch is the ECG App that allows you to monitor your hear rate and includes fall detection and emergency SOS function which is great for people with known heart health issues. We dig into this feature deeper below. It has music playing and streaming abilities and can even make & receive phone calls. Yes, a phone call, right there on your wrist. The Apple Watch will last up to 18 hours on a single charge. While using GPS this amount will be considerably less. Impressively, the watch is waterproof and fully suitable for swimming. When it comes to sports watches it really doesn’t get better than this. The Garmin Fenix 5 Plus is a feature-packed device targeted at both professional and casual sports and men & women in many niches. As expected, the visual quality of the mapping is the next level in this watch. Garmin has been the industry leaders since the start of this tech, and it shows. The GPS visuals are clear, colorful and updated in real time so you’re never left with inaccurate information. The Fenix has music playing abilities and can hold up to 500 songs on the actual watch. For streaming purposes, there’s Bluetooth and Wi-Fi connectivity. The durability in the design of the watch must be noted. It’s clearly made for outdoor usage. The screen is entirely scratch and shatterproof. The body is constructed out of stainless steel. The Apple Watch is undeniably much less outdoorsy than the unit made by Garmin. It’s a versatile, stylish device designed for both outdoor, home and boardroom use. The idea behind the watch is to have everything you need right there on your wrist. Access to maps, to emails and to everything on your iPhone. To accompany its watches, Apple has released a range of creative straps that can be interchanged with the watch face as desired. The materials used range from rubbers to metals, plastics, and fabrics. The sporting functions on this watch are present yet limited. As we mentioned, this was never intended to be a sports-based device, so determine your application before settling on this one. Make sure its functions align with your lifestyle. The newest feature of the Apple 4 watch is the ECG monitoring app. This app allows the watch to generate and ECG quite similar to the a single-lead electrocardiogram which is a huge advancement. All the wearer has to do is touch the electrode which is placed on in the middle of the crown of the watch and within 30 seconds an ECG waveform is generated. The wearer will also be notified if an irregularities are noticed such as atrial fibrillation. The watch will also record ECG waveform and any notes you may enter relative to it. These are then stored in your Health app on your iPhone should they be needed for later which can greatly help your physician. This feature acts like an early detection system as many people may not be aware of heart issues they may have, being able to monitor your heart patterns and rhythm at any time can help insure any irregularities are noticed immediately. 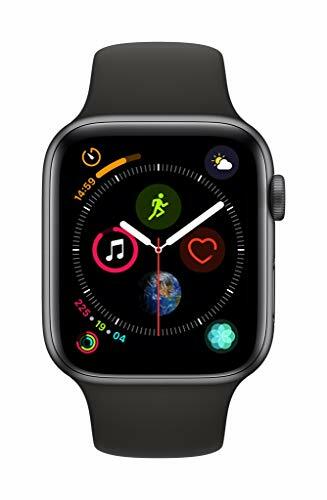 Finally, the Apple 4 watch has built in accelerometer and gyroscope which allows it to sense if you call and also have the ability to automatically call 911 if you are unresponsive for 60 seconds. If purchasing a multi-functional watch is your main concern then you’re likely better off with the Apple Series 4. However, if sporting ability is of value to you then you can’t go wrong with the Fenix 5 watch by Garmin. Ultimately both are high performing, feature packed devices by reputable brands. So make your list of requirements and then, the choice is yours.